IN STOCK AND RREADY TO SHIP. SHIPS TO LOWER 48 STATES FOR $85. 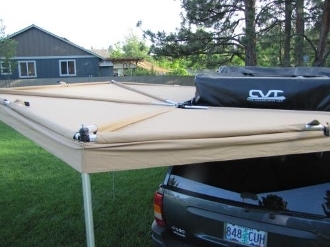 This is a great addition to the awning family. This will help give you more shade. Easy 2 person set up.